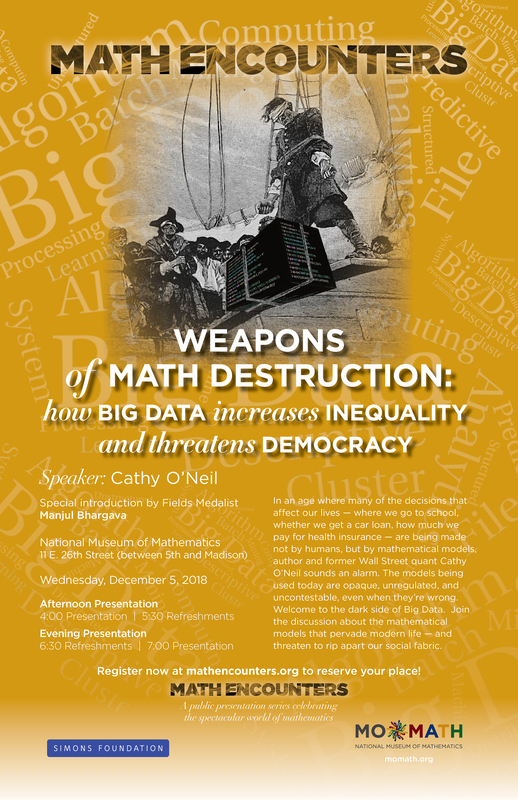 In an age where many of the decisions that affect our lives — where we go to school, whether we get a car loan, how much we pay for health insurance — are being made not by humans, but by mathematical models, author and former Wall Street quant Cathy O’Neil sounds an alarm. The models being used today are opaque, unregulated, and uncontestable, even when they’re wrong. Welcome to the dark side of Big Data. Join the discussion about the mathematical models that pervade modern life — and threaten to rip apart our social fabric. Special introduction by Fields Medalist Manjul Bhargava.